Powered snow plow attaches to Outlaw and Diesel’s front hitch holder and is operated by fingertip control attached to steering lever. Do not order using this part number (SNOW PLOW). This unit is powered for the up and down and is manual for the side to side movement. 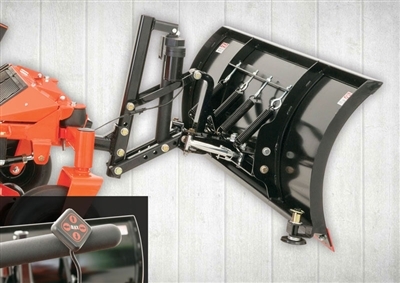 088-1044-00 for 72" Snow Plow Attachment.